Stop the slam with this soft close adapter that quietly and smoothly closes cabinet doors. It can be adjusted by the turn of a screw to the desired closing speed and is the perfect retrofit solution. This damper is easy to mount in the upper corner of your cabinet. The clean lines of this knob fit several design aesthetics including traditional and casual home door and would be a beautiful accent to any cabinetry or furniture. Multiple finishes available. Installs easily with included hardware and is a noticeable change for any cabinetry. Magnetic Catches and Strikes are ideal when wanting to securely fastening cabinet doors. The sturdy magnetic catch has a strong magnetic pull which prevents pop open doors from occurring. Made from durable plastic and steel base material for long product life. Introduce some old-world charm to your cabinets or cupboard with a Matchbox Latch from Liberty These latches combine vintage style with trend forward finishes to provide a visual statement in your home. All metal internal components allow for lasting use, making these latches perfect for your next project or room refresh. Cabinet Door Soft Close Damper 1 pc Stop the slam with this soft close adapter that quietly and smoothly closes cabinet doors. It can be adjusted by the turn of a screw to the desired closing speed and is the perfect retrofit solution. This damper is easy to mount in the upper corner of your cabinet. 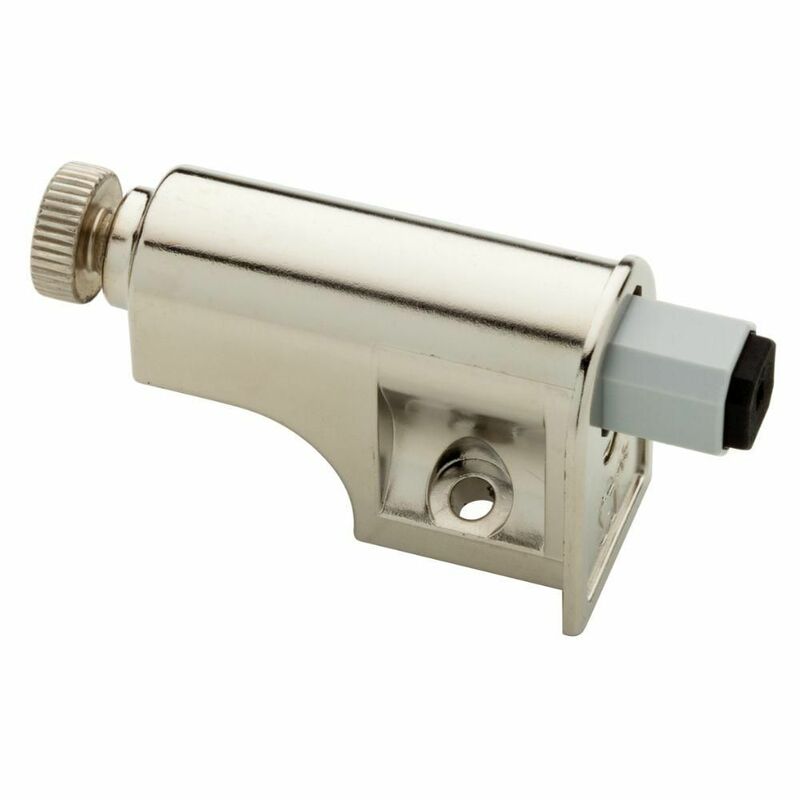 Cabinet Door Soft Close Damper 1 pc is rated 4.1 out of 5 by 35. Rated 5 out of 5 by GQ from easy fix to make doors soft close and very easy installation. easy fix to make doors soft close and very easy installation. Rated 5 out of 5 by ScottS from I have these installed in various doors in my home.... I have these installed in various doors in my home. They work great. Just note if you have a large door you might need two for that door (one installed at the top and one installed at the bottom). In my case I only had to do this once. Rated 5 out of 5 by Bob from EASY ASSEMBLY, DRILL ONE HOLE, ADJUST PISTON.... EASY ASSEMBLY, DRILL ONE HOLE, ADJUST PISTON. Rated 3 out of 5 by JW from The item is plastic and seems easy to break. ... The item is plastic and seems easy to break. But it works fine so far. Rated 5 out of 5 by mjb2287 from Very easy to install and adjust. I used them on and entertainment center I built so they aren't b... Very easy to install and adjust. I used them on and entertainment center I built so they aren't being used a lot but they have made it through everyone testing them out. Great product for the price. I have a small (14&quot;x14&quot;) cabinet door mounted horizontal as the lid on a box I built, would these dampers be strong enough to soft close this even with gravity factored in?